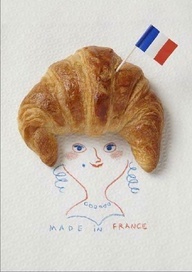 It doesn’t get any more French than this! 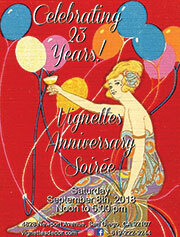 18th anniversary soiree coming up this Saturday, September 28th. 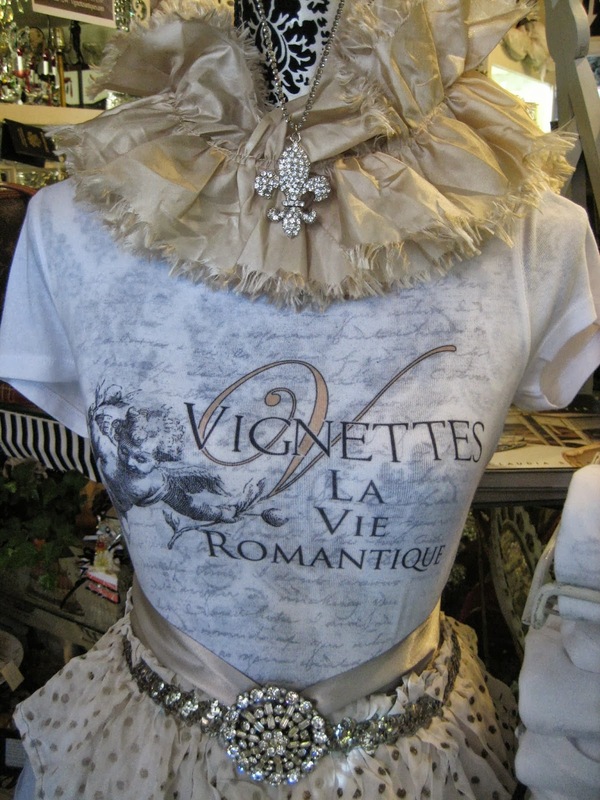 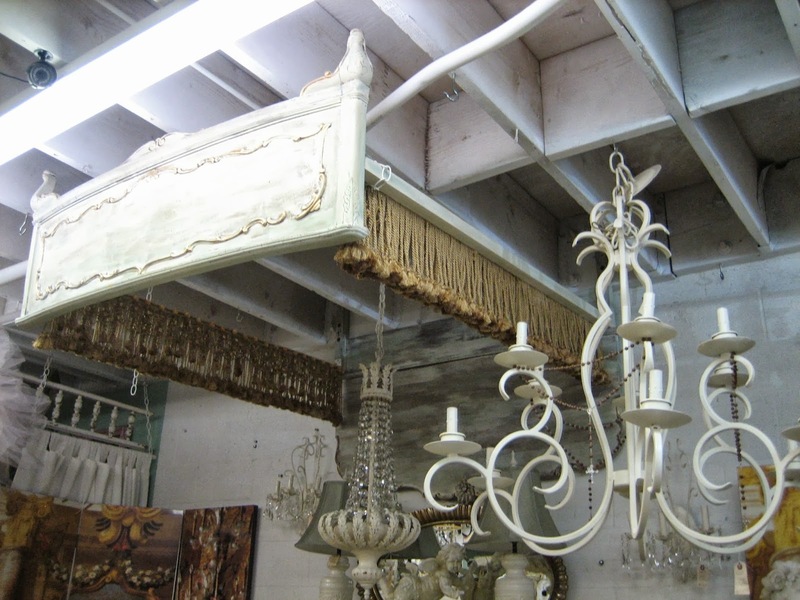 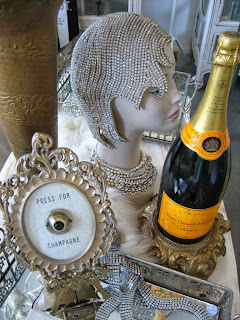 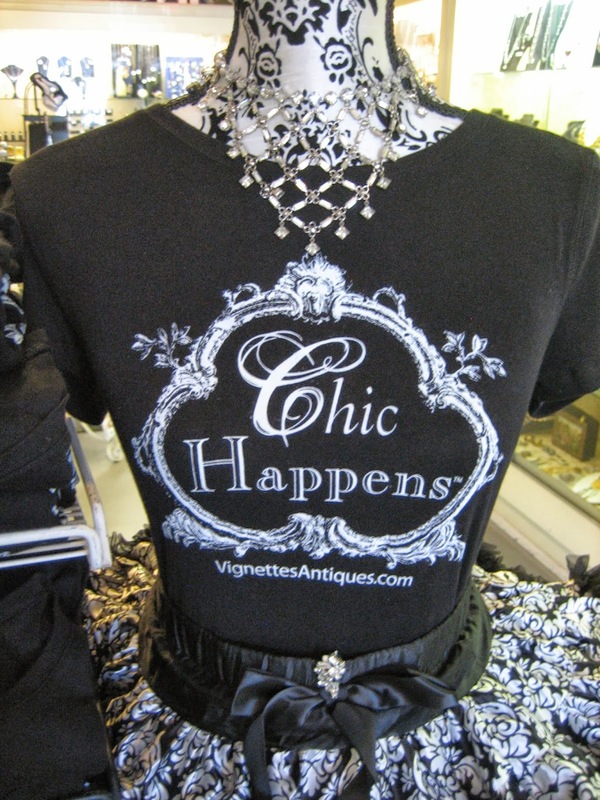 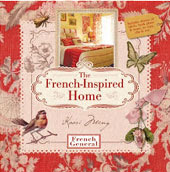 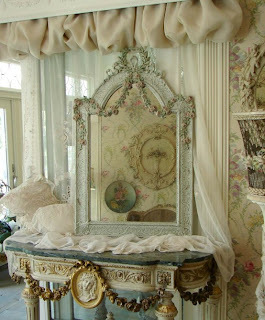 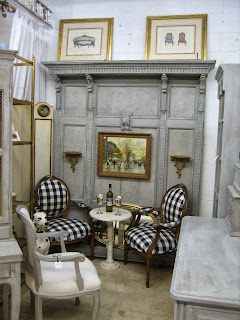 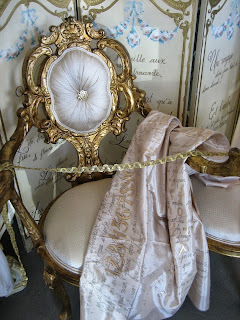 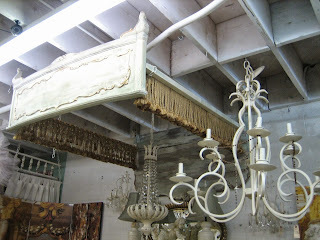 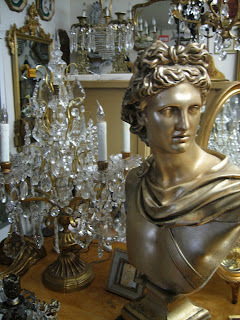 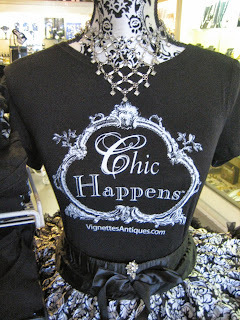 It's French Chic ~ a la Vignettes! 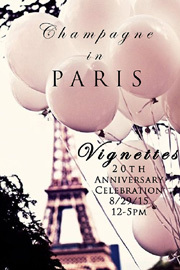 We hope you’ve saved next Saturday, September 28th for our 18th anniversary celebration of all things French and Fabulous! 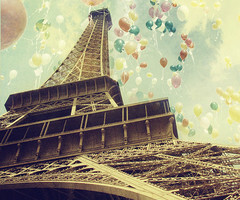 It is going to be one tres Francais S.O.I.R.E.E. Paris Flea Market Style ~ Autographed! 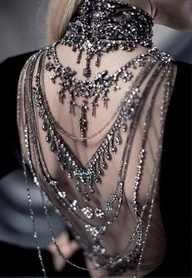 would make the perfect Christmas (or any time) gift ~ especially with her autograph! 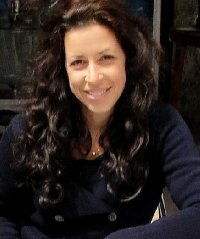 Saturday, September 28th from 1:00 to 4:00 pm and we have plenty in stock including her first best-seller, The Paris Apartment ~ the one that launched it all! 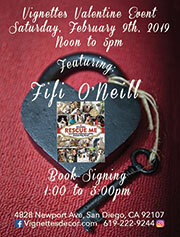 If you’re not able to attend our event, but want to purchase one of her books, just call the shop and we’ll have it signed and sent out to you. 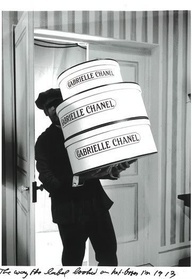 Special Delivery ~ Ooh la la! 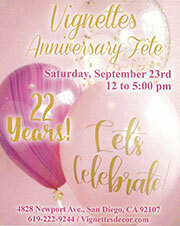 It’s getting closer: 9/28/13 ~ She’ll be here! 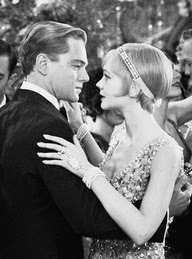 One of the French Salons being featured at our 18th anniversary soiree was majorly influenced by the look and feel of ‘The Great Gatsby’. 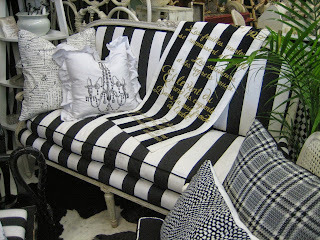 You will need them when you see the hand-painted yards and yards of gleaming satin from designer, Karen Lampard who has, once again, unleashed her off the charts, creative abandon, and painted poems (F. Scott Fitzgerald) famous sayings (Coco Chanel) and elaborate monograms all over these textiles extraordinaire… Stunning, to say the least! 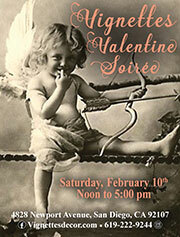 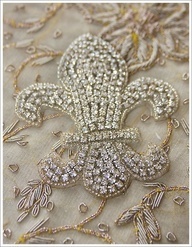 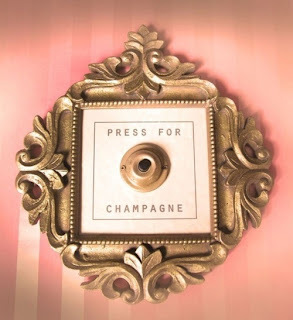 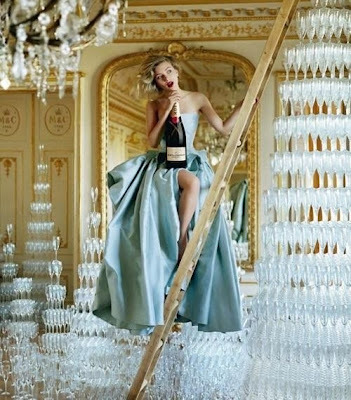 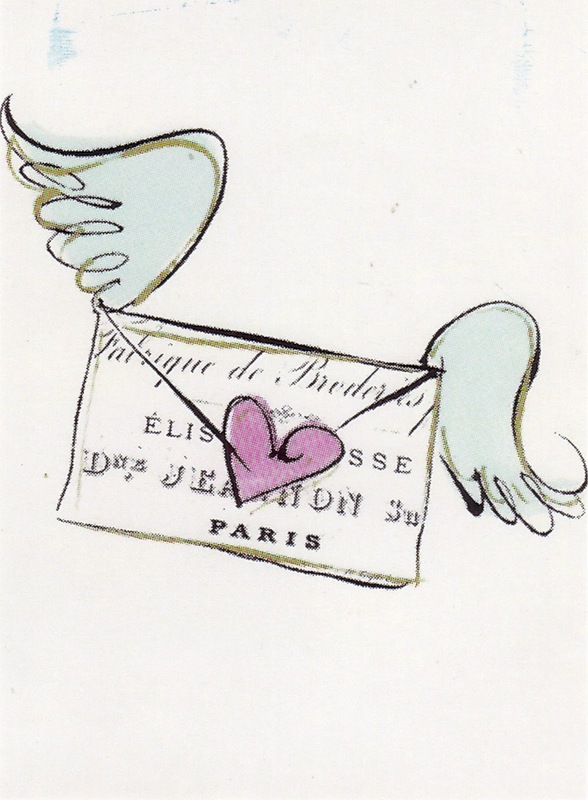 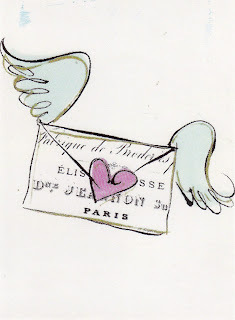 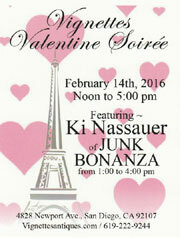 Mais Oui ~ This has all the makings of a soiree to remember! 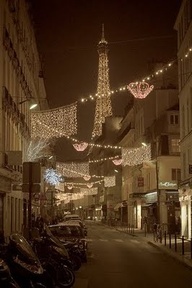 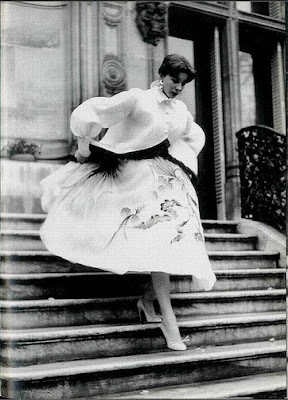 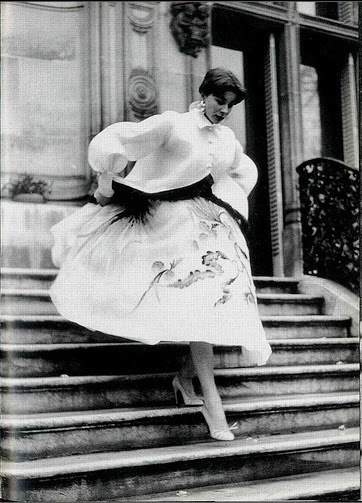 La Vie Parisian from the gal who wrote the book on it. 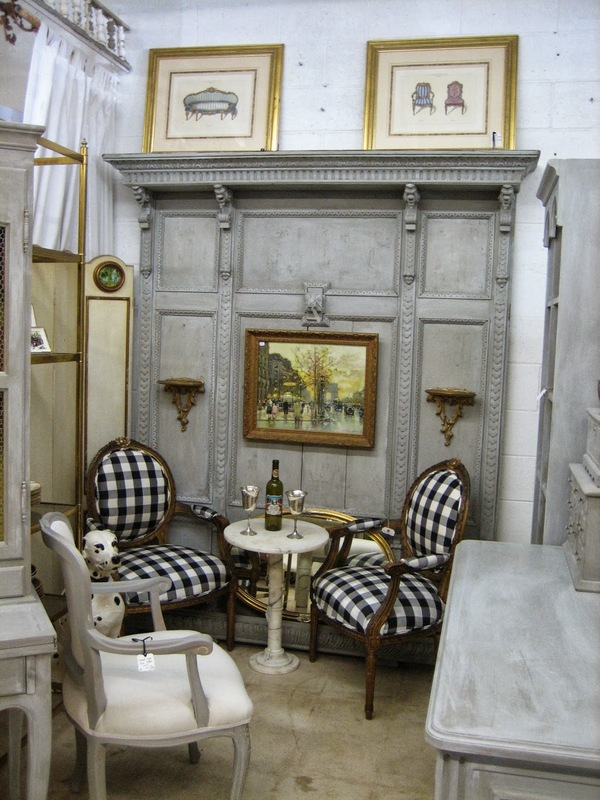 It just doesn’t get any more French than this! 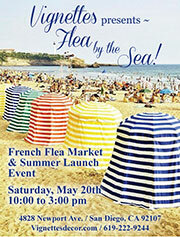 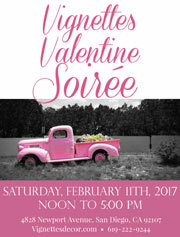 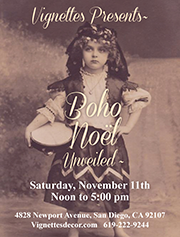 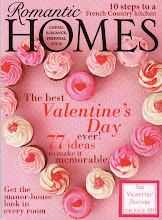 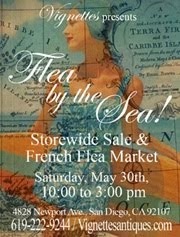 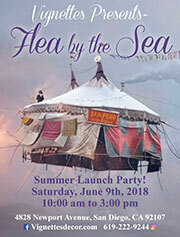 a Grand Celebration of all things French and Fabulous! 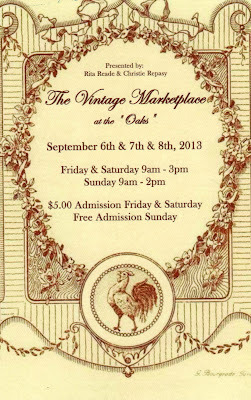 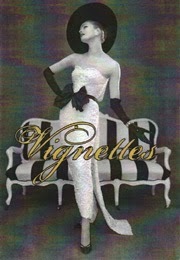 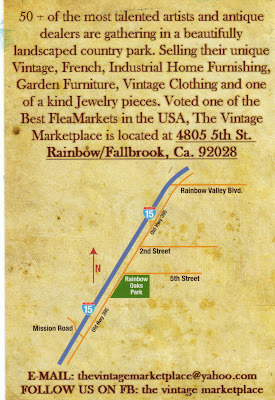 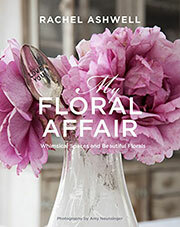 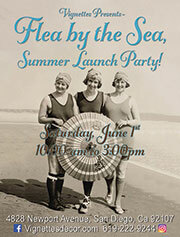 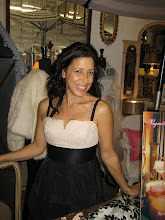 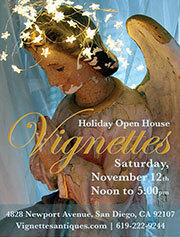 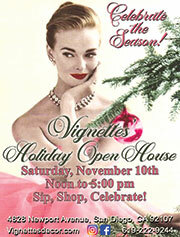 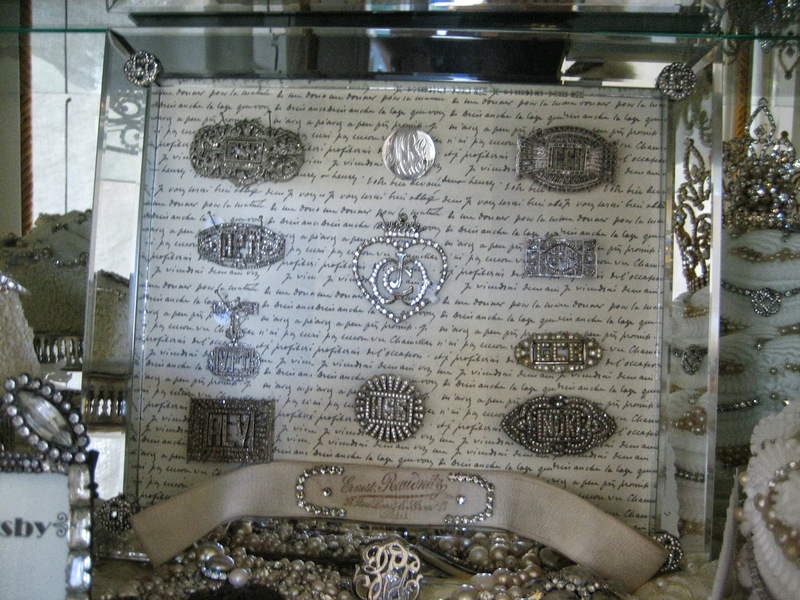 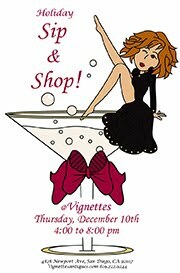 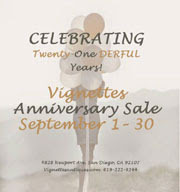 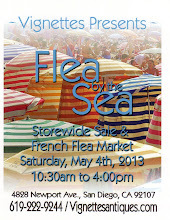 6th thru 8th is the fabulous outdoor show ~ The Vintage Marketplace at the Oaks in Fallbrook. 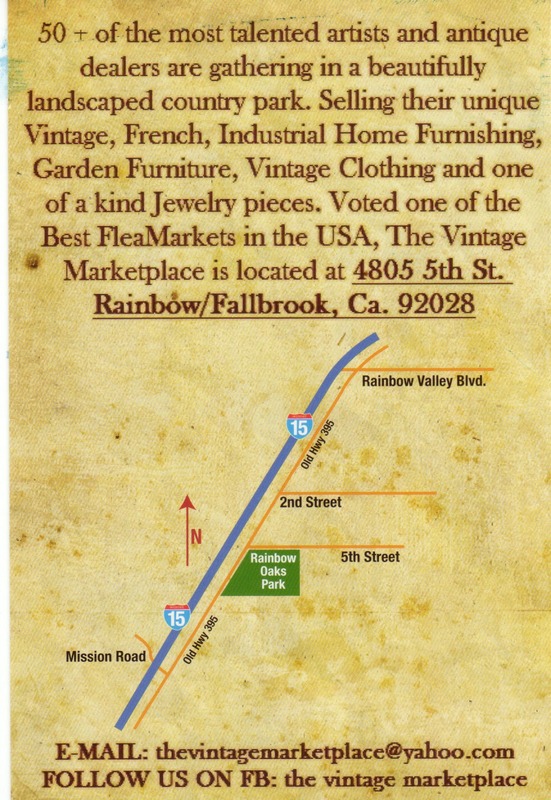 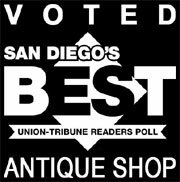 Featuring all the very best dealers and artisans with wares from vintage to antique to one-of-a-kind and hand-crafted, this is the one show not to miss! 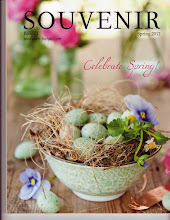 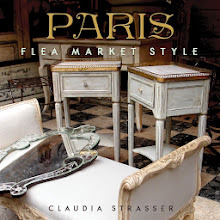 Produced by mes amies, Rita Reade and Christie Repasy, this marketplace has been written up in all the major magazines as “Best Flea Market” in the U.S.! It’s so true! 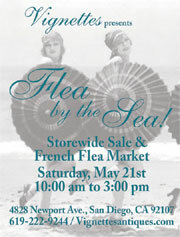 This is a ‘shop til you drop’ experience ~ See you out there!